Air Force Day is one of the professional days in Bulgaria, it's annually celebrated on October 16 since 1963. This holiday has a long history, that can be traced to the beginning of the 20th century. 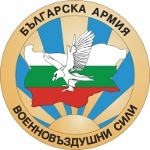 The Bulgarian Air Force's predecessor was a Bulgarian balloon force, that was created on April 20, 1906. However, October 16, 1912 is more significant to the Bulgarian Air Force, because it marks the anniversary of the first military mission performed by a Bulgarian aircraft. Bulgaria was one of the countries that declared war on the Ottoman Empire. This war is known as the First Balkan War, that started on October 8, 1912. On October 15 an order was issued to gather intelligence about the Turkish army in Edirne. Two Bulgarian pilots Radul Milkov and Prodan Tarakchiev performed a reconnaissance flight over the city the next day. The flight lasted only 30 minutes, but during this time the pilots inspected the city and threw grenades over the suburb of Edirne, Karaagac, the large railway station. This flight has a historic significance for the Bulgarian Air Force, and its anniversary is known as Air Force Day.